What is it that makes an occasion truly special and exciting? Is it the food? The entertainment? The open bar? Perhaps. The one thing that makes your party, reception, or dinner really spectacular is the place in which it is being held. The location is what has the potential to give you an unforgettable first impression, as it delights the eye and provides an ambiance you can’t get anywhere else. With a recent push for totally extraordinary events hosted at unique venues, one option that can showcase your personal flair is a more organic space. These are a fantastic option for one-of-a-kind affairs like yours because their beauty will provide a backdrop, while still allowing you and your moment to really shine. Often, these sites are easier on the wallet than hotel ballrooms or other, more traditional spots. 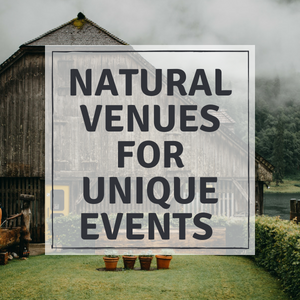 Here are some examples of natural locations for unique events that are sure to impress. Warm weather and sand under your toes? What’s not to love? That’s probably why beaches or lakes are always an ideal choice, especially for weddings. Not only is there a picturesque view of water, often with the sun or moon reflecting on its surface, but your friends and family can also enjoy the sound of the waves accompanying the scene. Beaches provide a simple but beautiful background with the contrast of color between the water and sand. Lakes, on the other hand, have their own appeal. They are usually surrounded by trees and other plants, and this creates a more intimate (and seriously romantic) setting if you arrange it right between the water and the nearby forest. Not all bodies of water will work for parties, though. Creeks and rivers, while stunning, are also accompanied by other guests you probably rather remained uninvited — bugs. In addition, they can be a bit more difficult to access, making it challenging for your loved ones or colleagues to join you. If you are aiming to create an affair that is both sophisticated and organic, one option is to hold it at a vineyard or winery. In addition to being surrounded by thousands of gorgeous grapevines, everyone may have the opportunity to sample the wine produced by the vineyard. Surrounded by your loved ones and glasses brimming with great wine? Yes, please. A gathering held at such a place will be a delight for both the eyes and the tastebuds, ensuring that your friends and family will enjoy a multi-sensory experience. From outdoor tents to intimate cellars, the versatility and options available here guarantee that you can create an inspired engagement depending on the number of people and the style or theme of your occasion. 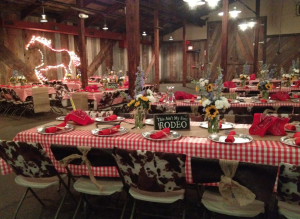 If you’re in love with the rustic wedding trend that is making its way to Pinterest boards this year, one site that you should definitely consider is a ranch or barn. Ranches offer attendees a taste of a more quaint and simple way of life, as well as buildings with enduring architecture and pastoral fields. Just think of all that room for the kiddies to run around! Plus, some ranches may even supply the raw goods, such as vegetables and fruits, that can be used to create the dishes, which adds to the charm. The wooden buildings themselves are rustic, which can be a great juxtaposition to elegant decor, making it stand out and transforming the barns into a celebration of agriculture and unembellished architecture. For a breathtaking and colorful location, search for local arboretums or botanical gardens. These are intimate spaces with a wide variety of kaleidoscopic vegetation that will allow your guests to get in touch with nature, without having to go too far out into the wilderness. Also, because many botanical gardens offer indoor areas as well, you will be prepared with a plan B in case Mother Nature decides to rain on your parade. If you appreciate the beauty of the local vegetation and want something that will be stunning and decorative all on its own (which means less work for you), an arboretum or garden would be perfect. Historical buildings and art galleries are guaranteed to impress all your more cultured guests. At a historical building, your loved ones can experience and observe firsthand a special piece of history, which can provide the situation with a deeper meaning as the past and present come together. In addition, many historical buildings sport wonderful architecture, so the decor is pretty much taken care of for you! 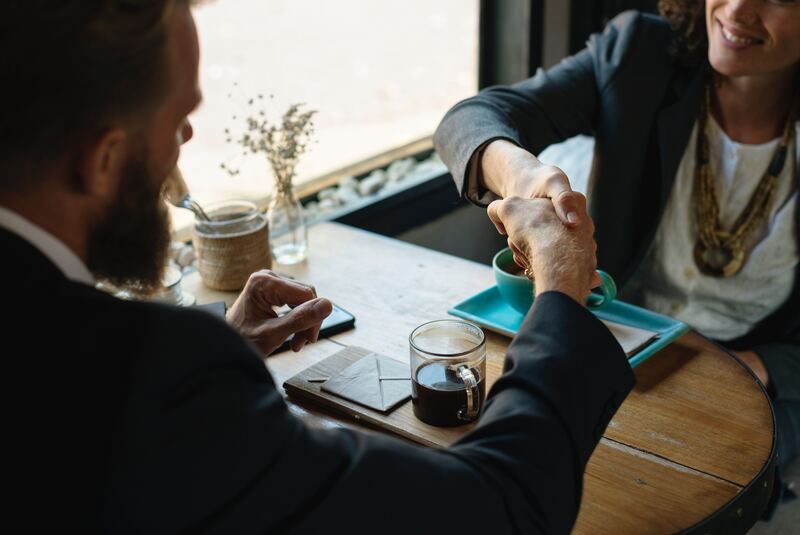 Art galleries will allow your friends or family to become acquainted with local artists, while also providing an entirely one-of-a-kind appearance and atmosphere. These delightful spots will entertain loved-ones or peers, making sure that your moment will not be easily forgotten. No matter the season, lodges and ski resorts showcase the gorgeous surrounding woods and mountains. The often rustic decorations and wooden buildings will enchant your guests with their simple elegance, and you and your wedding party will really stand out in your traditional wedding attire (if that’s the look you decide to go for). Moreover, they are remote, which offers a sense of escape and makes the occasion seem all the more intimate and relaxing. While many would argue that the food, beverages, and entertainment are what can make or break your party, the space is just as crucial for success. Instead of booking traditional venues, such as hotel ballrooms, try exploring alternatives that offer much more than an enclosed area. Think outside of the box! Sometimes, some of the most unexpected places can make an event unique. Plan Events Like a Pro Get Started!